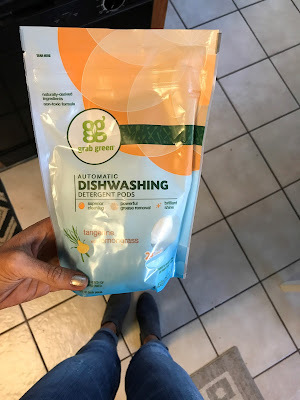 Sincerely Stevie: Making the switch to Grab Green Cleaning Products! 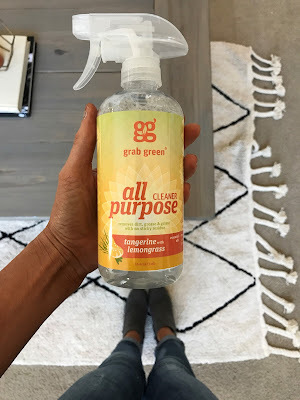 Making the switch to Grab Green Cleaning Products! For years now I have been using oils, buying organic food where I can, spray tanning my clients with organic solution, using natural skin care products, but I have never made the switch to natural CLEANING products in my home. It's been hanging over my head! I've known that I needed to get serious about the types of products I use for cleaning & laundry, but it wasn't a priority for me. I confess, I'm guilty of buying Clorox disinfectant wipes for years, because they're convenient & always staring me in the face at the grocery store. I'm guilty of buying whatever laundry or dish detergents were the quickest to find, or cheapest. The truth is, these toxins are not safe or healthy to have in our homes. I recently learned how poisonous the dishwasher pods are. Not long after that I found Jace holding one in his hand after I turned my back for 30 seconds. I had a mommy heart attack! I also didn't like the fact that every time I wiped my counters down, the chemicals from those disinfectant wipes were seeping into my skin. 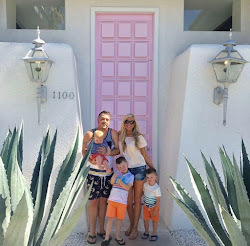 One of the reasons I put it off was I felt like I had to spend an arm & a leg to get toxic free products for our home. Boy was I wrong! 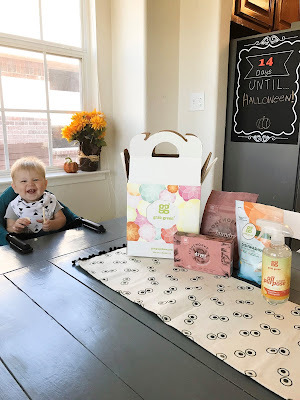 I'm so happy to say after putting it off all these years I found the PERFECT brand of cleaning products to use & I LOVE them! We are now using Grab Green Natural Cleaning Products. All Purpose Cleaner (tangerine & lemongrass scent)! I can't live without an all purpose spray to clean the counter tops, the GREASY stove from my top chef of a husband making ridiculous messes (love you honey), & the food caked to the table from the 3 messy lil' munchkins! Guess how much this is you guys?? $5.00!!!! Yeah. My jaw dropped too. I'm also using the dish washing detergent pods, which I'm so excited about because I hate regular dish soap & love pods... & knowing these are made with no dyes, chlorine or phosphates, I feel MUCH better about these. They also out performed Cascade! Only $8.00 y'all!!! Last but not least, I'm loving the laundry soap pods & dryer sheets in ROSE petal scent! Mmm! 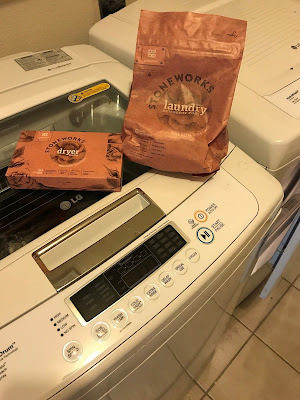 They work BETTER than my old detergent & dryer sheets & smell better too. I don't like super strong fragrances & we all have sensitive skin around here, so these are perfect for our family. $12.99 for the pods & $6.25 for the dryer sheets. Need I say more?! So if you've been looking for a non toxic but AFFORDABLE option for cleaning products in your home, look no further. There are a ton of other products on their website as well. To see more, just go to: http://www.grabgreenhome.com/. I'd be happy to answer any questions you may have! Thanks for reading everyone & have a happy rest of your week!